The preacher was ahead of his congregation, though, and he didn’t last very long. Wake Forest Law’s Interim Dean Suzanne Reynolds (’77) almost didn’t choose the law as a profession. In fact, Reynolds kept thinking about Emily Dickinson, at least some of the time, while she was in law school. During the summers after her first and second years of law school, she finished writing her master’s thesis – on Emily Dickinson’s poetry – while she held down other positions, like a research assistant for Professor Charley Rose and as a summer associate in the law firm of Smith Moore Smith Schell & Hunter. She received her master’s degree the year before she received her law degree. Gender issues had been an especially hot topic when Reynolds was studying law at Wake Forest. During those years, Ruth Bader Ginsburg was a lawyer arguing gender discrimination cases before the United States Supreme Court – and winning them. Little did Reynolds know that through Wake Forest, one day she would count the U.S. Supreme Court Justice among her friends. Her teaching and scholarship has given her the forum she wanted. Reynolds was a principal drafter of statutes that modernized alimony and adoption laws, and she co-founded a domestic violence program nationally recognized by the American Bar Association for providing legal assistance to the poor. For this and other work, Reynolds received the Gwyneth B. Davis Award for Public Service presented by N.C. Association of Women Attorneys in 1996 and a Distinguished Woman of the Year award presented by Gov. Jim Hunt in 1998. In 2006, she received a Woman of Wisdom award from the N.C. Association of Women Attorneys, and in 2009, a Woman of Achievement award from the Women’s Clubs of North Carolina. 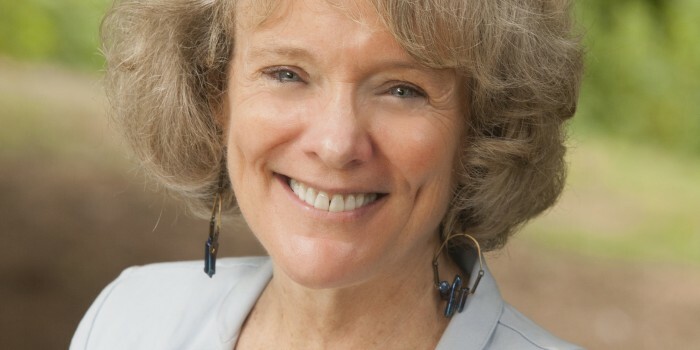 Meredith College named her its Distinguished Alumna in 2011. Reynolds is the first woman to lead Wake Forest Law as dean. Serving as executive academic dean for the past four year prepared her well to step in to the role. “I would shrink from this role as interim dean, but I think there is a real role for a long-timer like me in a period of transition,” she told Associate Dean for Information Services and Technology Chris Knott during an Inside the Author’s Studio interview with the Professional Center Library staff over the summer. One thing led to another, and she found herself in her first political contest, running against an incumbent for a seat on the North Carolina Supreme Court. She narrowly lost the race and returned to Wake Forest. “I decided that I would throw myself into a new course, one that I had always thought we should offer the students.” The result was a course that eventually turned into the Child Advocacy Clinic, which seeks to protect children in a family where there is domestic violence. Her performance in the Supreme Court race, almost unseating an incumbent, drew the attention of Gov. Beverly Perdue, who appointed Reynolds as one of the 10 commissioners from North Carolina on Uniform State Laws. For the past year, Reynolds has served as the reporter for a uniform act that would enforce the domestic violence orders entered in another country. Two years later, Reynolds interviewed Justice Ginsburg again before a capacity crowd in Asheville, N.C., for the North Carolina Bar. A self-described “nerd” as a child, Reynolds is more comfortable talking about her parents, her husband, and her three children, than she is talking about herself. She inherited her father’s love of academics – he was second in his class at Clemson University– and her mother’s caring nature. Reynolds’ husband, Hoppy Elliot (’77), is a trial lawyer who practices employment law and other civil litigation. He has won numerous awards for this work and for his pro bono work. The N.C. Civil Liberties Union recently presented him with its prestigious Frank Porter Graham award. Michael Elliot, their son, practices with Hoppy in the Charlotte office of Elliot Morgan Parsonage. Caroline Elliot, also a lawyer, handles felonies as a public defender in Wake County, N.C. Their youngest, Lillie Elliot, is a photographer in Denver, Colo.